Director Manju Borah’s engagement with indigenous cultures is deeply rooted. The poignant exploration of the tribal societies, their socio-economic and contemporary reality has acted as a perfect metaphor for her films like ‘Ko:Yad’ and ‘Dau Huduni Methai’. As powerful as they were, the films were unmistakably ethnic, yet universal in their representation of issues. 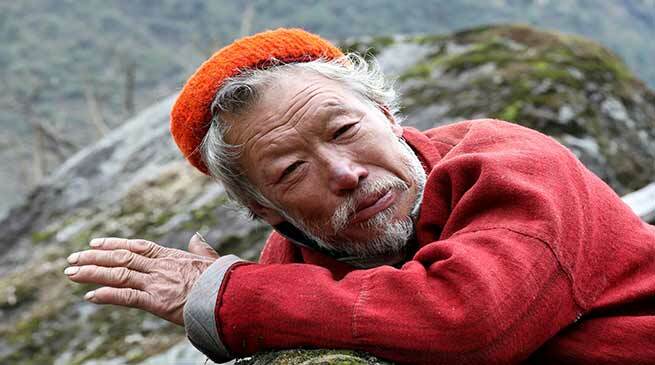 Her camera returns once again to explore one of the least-known ethnic groups, this time, located in Arunachal Pradesh, in her new film ‘Bishkanyar Deshot’ (In The Land of Poisonous Women), which is based on distinguished litterateur Yeshe Dorje Thongchi’s much acclaimed work. A much respected name in the literary field of Assam, Yeshe Dorje Thongchi is known for the warmth and intimacy of his writing, which is simple, yet lucid. The popular novelist has left a lasting impact with his highly sensitive literary creations, enriched by minute and dramatic portrayal of the environment and situations in Assam and Arunachal. Having won the prestigious Sahitya Akademi Award in 2005 and the Dr Bhupen Hazarika National Award in 2017, he has carved a niche for himself not only in Arunachal Pradesh and Assam, but also at the national level. The novel Bishkanyar Deshot has been written in the backdrop of the Zemithang region in the Tawang district. According to the writer, when he was in school he got to read about a sensational murder that took place at Zemithang in the then undivided Kameng district, in the popular Hindi magazine Dharmyug. It was a touching description of how a very beautiful young Panchenpa woman was killed, along with a photograph of the slain woman. Much later, when the writer was serving as the Deputy Commissioner of Tawang district, he saw a mysterious house at a place called Brokenthang in the Zemithang region. He heard people talk about an old couple residing in the house. The old woman was very beautiful. There was a link between the captivating mystery surrounding the sensational murder that he had read about in his school days and the mysterious abode and its elderly occupants in the present context. This link, enshrouded in mystery, is depicted in the novel and has now been used in the film. The language used in the movie is that of the tribal Panchenpa, a section of the Monpa tribe with a population of just around 5000, settled near the India-China border region, some hundred kilometres West of Tawang. Besides presenting a story of suspense, the novel portrays a superstitious belief prevalent among the Panchenpas of Arunachal, which has taken a toll on the girls and women of the Panchenpa community. A noteworthy aspect of the novel is the positive step taken by the present-day educated young Panchenpa men and women to strengthen their language, culture, and social entity. This special feature has transcended all geographical barriers and spilled onto international spheres. Meanwhile, after wrapping up the film’s shoot and editing, the film’s background score by Aniruddha Borah too has been completed. Manju Borah has also enlisted the help of Hindi cinema’s well-known name – Arunoday Sharma, to execute the film’s sound effects. Produced and scripted by Manju Borah herself, the film, presented by AAAS Productions Pvt. Ltd., features cinematography by the National award-winning Sudheer Palsane and editing by the renowned A. Sreekar Prasad. While the art direction is by Phatik Baruah, make-up by Uday Mandal, ‘Bishkanyar Deshot’s production-costume designer and chief assistant director is Jiban Dawka. The film has used locally based artistes in a number of roles. They include Kesang Wangda, Lobsang Drema, Dorjee Wangdi, Dondup Drema, Kendan Tashi, Sangey Drema, Tsetan Dondup, Tenzin Phontso, Rinchin Sambru, Pema Wangmu, Lobsang Lhamu, etc. Yeshe Dorje Thongchi also briefly appears in the movie. Once the film’s post-production works are completed, Manju Borah intends to send it to various festivals from the early part of next year.